Not all HVAC systems are created equally. A unit you’d put on your home is going to be much different from a unit that ends up on a factory or wastewater treatment plant. When deciding between standard duty equipment or industrial HVAC you need to ask yourself 7 questions. We all have (or had) a misshapen Philips head screwdriver that seems to have been made of a softer metal than the screw we were driving. Air Conditioners are no different. The materials and components need to be matched up to the job they are performing. Motors, fan blades, relays and cabinet material need to be up to spec. Not only must the components need to be up to the task, but they must also be accessible. Well-designed systems are built with service in mind. 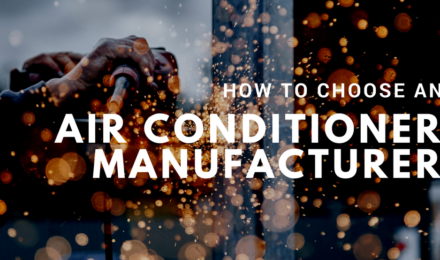 Because we ask more of Industrial HVAC, they can be more complicated systems with more things to go wrong, and you need to be able to get into the unit and fix it. Many of my customers’ units are constantly in motion over the road. Is that 80lb compressor, it’s solder points, bends and coils robust enough to take the abuse of thousands of miles over the road past the time it was delivered to the site? We’ll get into more specific locations situations below on Hazardous locations, but the environment plays many factors in a units construction. My units that end up in sandy environments will use a less dense coil design, so they don’t get clogged up. What are you cooling and at what temperatures? 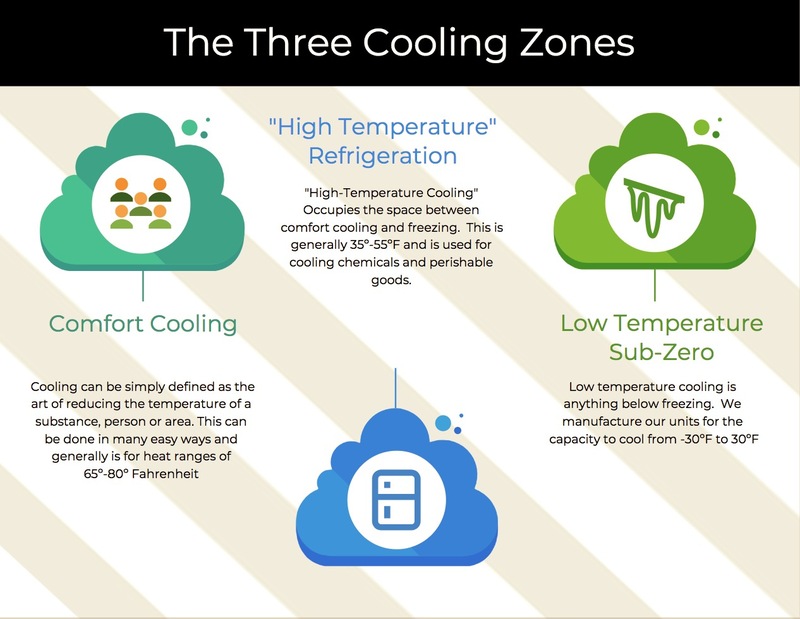 We generally break cooling down into three categories, “Comfort Cooling” (65-80ºF) for humans and a lot of equipment, “High-Temperature Cooling” (35-55ºF), refrigeration of foods and chemicals, and “Low Temperature” or “Sub Zero” cooling (-30º to 32ºF). Industrial HVAC can be in any category cooling critical infrastructure or equipment but it’s most likely in the sub 55º situations. Not unrelated to cooling is dehumidification. Every air conditioner can dehumidify, but it needs to be “cooling” to condense the water onto its coils to remove the moisture out of the air. What if your set temperature is satisfied, but you still need to remove humidity? 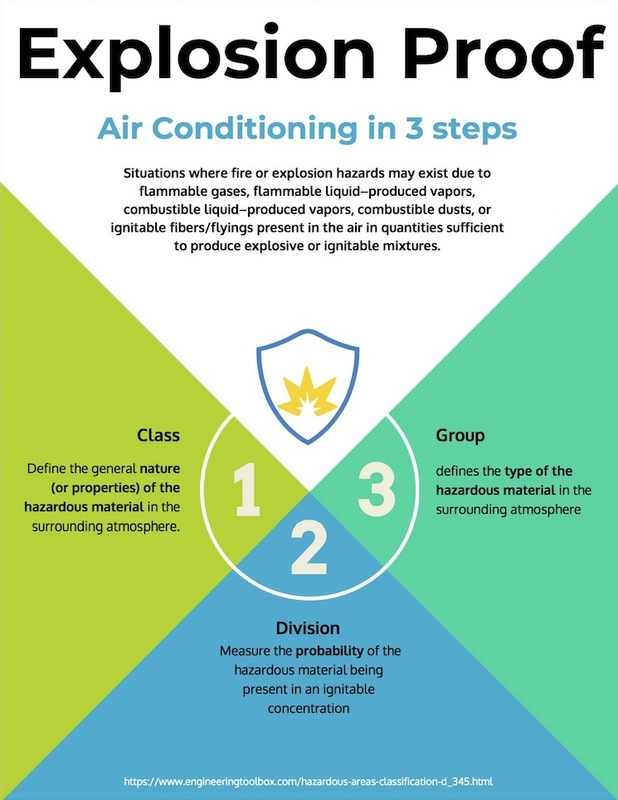 Factors including the ambient temperature and unit size control when the air conditioner can operate in a cooling mode, but if you have tight tolerances for dehumidification, additional steps can be taken to ensure humidity levels are kept down. Recycled heat aka “hot gas dehumidification” is known to be the most economical way to dehumidify but does come with higher upfront costs. This method requires a second coil on the back side of your (cold) evaporator coil to recycle the hot gas from the compressor back into the air. This method brings the air temperature back up to the temperature it was before it cooled on your evaporator coil. A second method is with Electric reheat dehumidification. It’s upfront costs are much lower than hot gas dehumidification but require a much more significant circuit breaker and energy use will be much higher during periods of active dehumidification because you use a heater to bring the temperature up after air passes the cold evaporator coil. 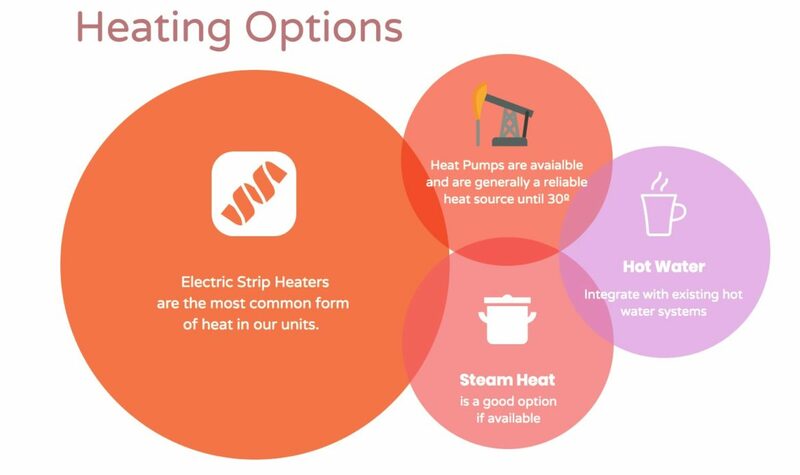 In a lot of industrial settings heat is the enemy but if it’s necessary to keep critical equipment from freezing, electric heat through strip heaters or heat pump technology are the most common. Industrial locations will often have access to water or steam heat. Both of which can easily be integrated into our systems. If anything differentiates industrial from standard HVAC, it’s ventilation. You heat and cool your house but it’s unlikely you ventilate. 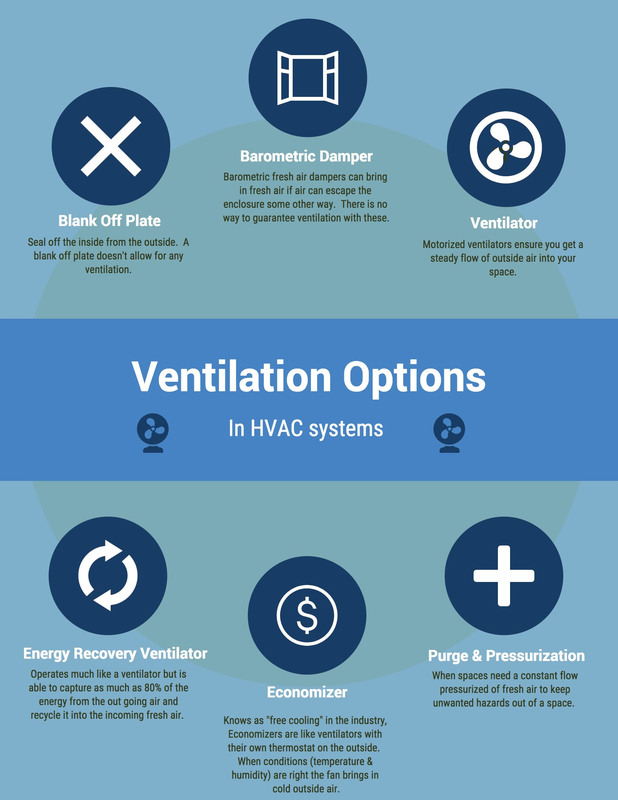 There are many reasons why you’d want to ventilate in an industrial setting and so it might be easiest to just present the ventilation options. Blank off Plate – Sometimes you want to keep whats outside out and what’s inside in. A blank off plate does just that. Barometric Fresh Air Dampers – These are a passive form of ventilation akin to opening a window. They can provide meaningful amounts of ventilation IF (big IF) there is somewhere for it to escape and a units fan is running. Active or Forced air ventilation is a step up from a Barometric Fresh air damper, the main difference being a fan actively moves air inside and outside the environment. Energy Recovery Ventilation (ERV) – If you’ve invested money into heating or cooling air the last thing you want to do is throw it out the window. That’s where ERV’s come in. Energy Recovery Ventilators can capture up to 80% of the outgoing energy and introduce it into the fresh air coming in. 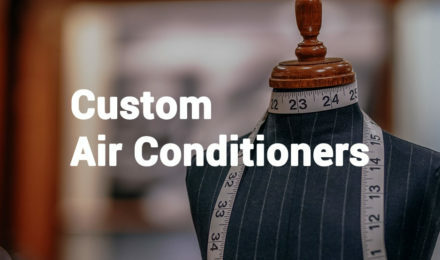 Economizer – Economizers are also known as “Free Cooling.” They are similar to a forced air ventilator but have a thermostat that allows them to see the outdoor temperature. If outside temperatures (and humidity levels) permit the fan brings the cool outside air into the space eliminating the need to run the more energy-intensive compressor for mechanical cooling. Purge & Pressurization – There are times when you may need to keep the pressure on your space. Measured in Inches of water, inAq, Aq, or inH2O, these systems maintain a steady air pressure from a source gas, usually air, in your space from to keep uncontrolled or unwanted gases or dusts out. Air is commonly supplied from a “stack” that draws air from higher elevations. Pressurization systems usually come with classified or hazardous environments. Right next to Ventilation, hazardous locations scream Industrial HVAC. An oil refinery dealing with explosive gases or wastewater treatment plants caustic chemicals and methane is going to need some extra help for survival. Specialized coatings can significantly increase the lifespan of equipment from environmental hazards ranging from salt-air to off-gassing of food waste. Corrosion from hazardous environments can create pinhole leaks in coils, fins, tubes, fans and even cabinets significantly shortening mechanical systems work lives. We have our preferred coatings but recognize everybody has their own needs and preferences so we’re familiar with every major process and brand and can do most of them in our factory. Hazardous, classified or “Explosion Proof” environments come with their challenges. There are many environments where explosion risks exist, the most obvious being conditions where flammable fumes and gases are present; paint and chemical plants, mines and the oil and gas industries. Less obvious examples include flammable dust, metals, and grains. Dust explosions can happen when combustible material is dispensed in high enough concentrations with oxidizing gases like oxygen. You can learn more about Hazardous, classified or “Explosion Proof” environment here. 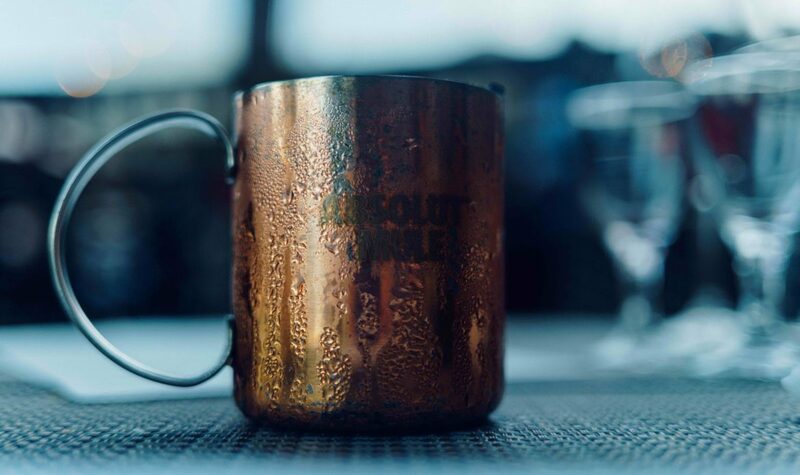 Industrial HVAC can come in many shapes and sizes. We see a lot of requests for rooftop and wall-mounted units, but we’ve built; pad-mounts, split systems, window units, through the wall, R.V. type or trailer mounted units. Often there’s a solution our customers had never considered that works better than what they had in mind. Industrial HVAC systems are not necessarily larger systems but often are. We build and customize everything from fractional tonnage units to 100+ ton monsters. If you have any questions about your project, please reach out to us or build yours here and we’ll follow up with you. Every unit we make is custom, and we’d love to help you with your industrial HVAC project.